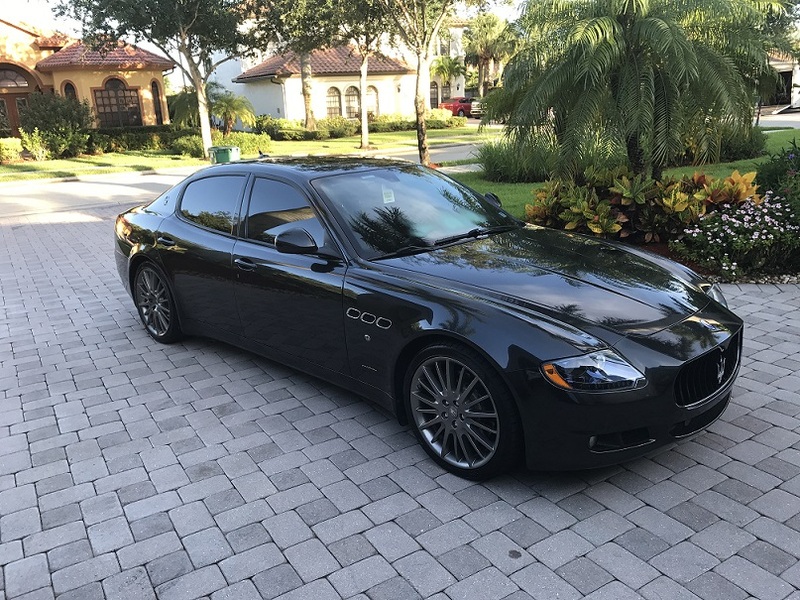 Up for sale is my 2012 Maserati Quattroporte Sport GTS. Miles: 47,000. Price: $51,000 obo. My Father lives in Virginia Beach, VA and I was travelling with him to buy his 2007 F430 from Foreign Cars Italia in Greensboro, NC. When we got to the dealership I was immediately drawn to this Quattroporte which was sitting in the front of the dealership. It was just traded on a California T by the original owner and had just gone through prep for their retail inventory. 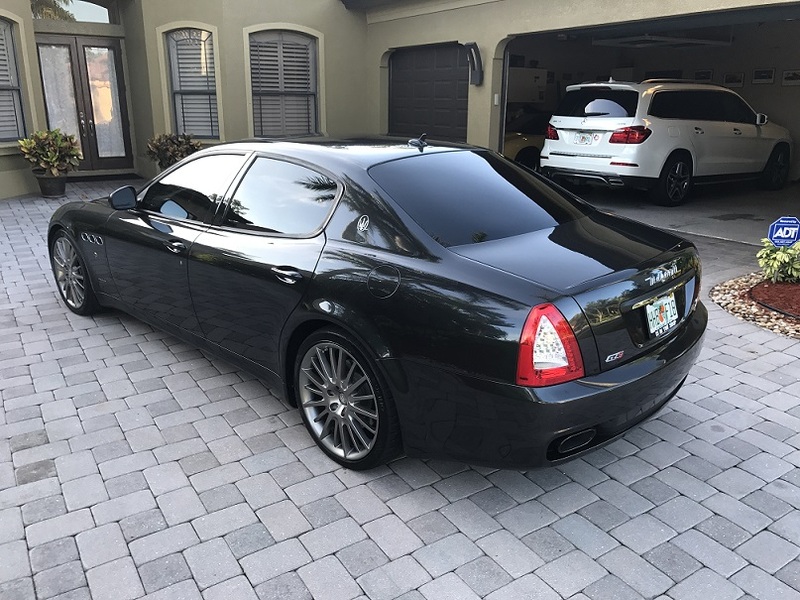 I knew this car had to be special just by looking at the stance and color combo.... while my Father was finishing the deal to trade his Viper on the F430; I began my journey into the Quattroporte. 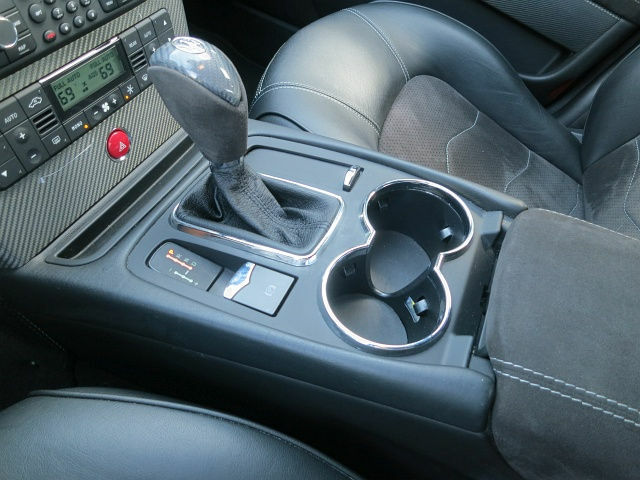 This car was used by Maserati NA from late 2012 till late 2013 as a display vehicle and for executive use only. The sales manger believes it is 1 of 1 in this combo of color and options. 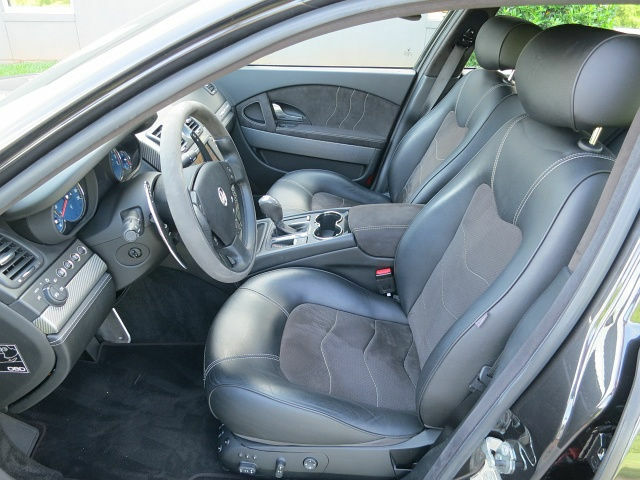 It was not titled by the first owner until 5-9-2014 and was sold new by Foreign Cars Italia. It had a MSRP of $156K. The original owner had Xpel Ultimate placed on the front bumper, headlights, hood, front fenders, mirrors, and rear fenders. It also has ceramic window tint that is 20% front and 10% rear. It looks brand new cosmetically in and out! It has all the standard luxury features like bixenon headlights, bluetooth, usb port, aux port, rear parking sensors, multizone automatic climate control. The GTS is a totally different animal than the S. The suspension, tuning, exhaust, brake, and appearance differences make it a 4 door sports car. 0-60 comes in 4.8 seconds but the exhaust note has you drooling and feeling like it comes much faster. You can read up on the differences and they truly do make the GTS a drivers car. 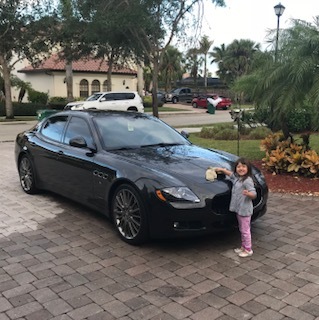 It is more rewarding to drive than my old 2013 BMW M5. Originally Foreign Cars Italia was not selling this car as a CPO. I worked out a deal on the car where they had to make it a CPO vehicle. They had to spend almost $10k and 2 weeks to get it to CPO spec. It now has bumper to bumper CPO warranty with no deductible until May 2019 or 100,000 miles. This warranty will transfer to the new owner for $50.00. It now has 47,000 miles. Why am I selling it? My wife and I have been employed physicians here in Naples, FL for the last 3 years. Our practices have grown to the point where we are opening our own Wellness center October 2018 and have recruited several other health providers to join our venture. I am cutting some expenses and focusing on the business for now. I just sold my 2002 Camaro SS SLP 35th anniversary and my 2013 Fiat 500 Abarth. I am still using my trusty 1998 BMW M3 sedan (5spd manual) as my daily driver. PM me for my personal number/email. Car is located in Naples, FL zip 34119. I will be happy to take more pics or facetime video. Thanks for looking! BUMP. Just had the QP in for the 48,000 mile service (belts, fluids, inspection) at Maserati of Naples. I was able to extend the CPO warranty to 5-2020 or 100k miles which is transferable to the new owner (this warranty is worth $5-6,000). Price drop to $49k. I have almost the same exact car, if I were you I would not sell it. This is a N/A V8 GTS, in a new world of electric this will be sought after in the future, right after a pure 6 speed manual bmw e39 m5. 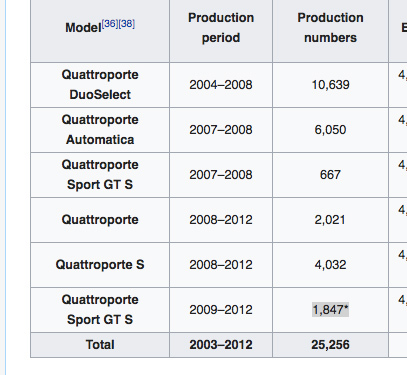 There were only 1,847 of these 2009-2012 era GTS in circulation, probably much less now after people have crashed them. Good luck, consider keeping her, it can't be that much more out of your pocket. This is not a car you sell. Bump... Good looking car, hope you get your asking price. 6 years old with your mileage may or may not be a deal breaker. Most Qp buyers I feel don't spend more then 35-40K for those 09-12 models. 15-25K for the 05-08 models. The warranty is a plus, however the options in the 50K price realm might steer a buyer in a different direction. Like others have stated, it may be best to keep it and see what happens to the market. Thank you for showing us a well kept QP, definately rare. Moderator please close this thread! Great choice, hope your family will enjoy it for years to come.